Find out how to design world class beers at home, improve your brewing experience and simplify your brewing day. As you gain in experience, BeerSmith™ grows with you. 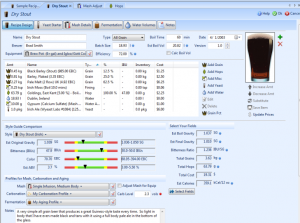 There is a new version of BeerSmith – download your free 21 day trial now! New Features in BeerSmith™ 2.3 and BeerSmith Mobile! 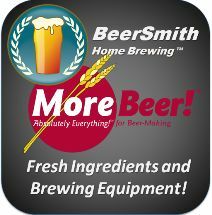 Easily move recipes between devices with the BeerSmith recipe cloud – search thousands of recipes instantly! 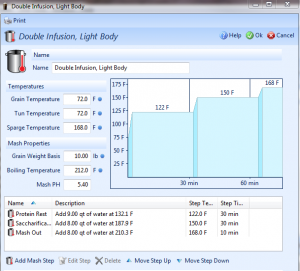 New brewday timer makes your steeping, mashing and boiling a snap! Design award winning beers with BeerSmith™ by matching the style and color of classic beers from around the world. Instantly search and use over 10,000 recipes on BeerSmithRecipes.com within BeerSmith. 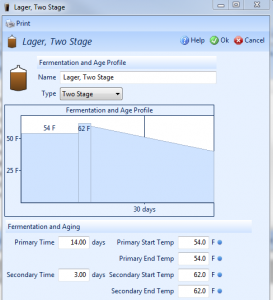 Watch our BeerSmith 2 Video Tutorials – The world’s most advanced beer brewing software. Five years in the making – BeerSmith 2 has been redesigned from the ground up to give it a modern look and feel with ribbons, themes and tabbed browsing. Its designed to make your brewing as easy to use as possible. 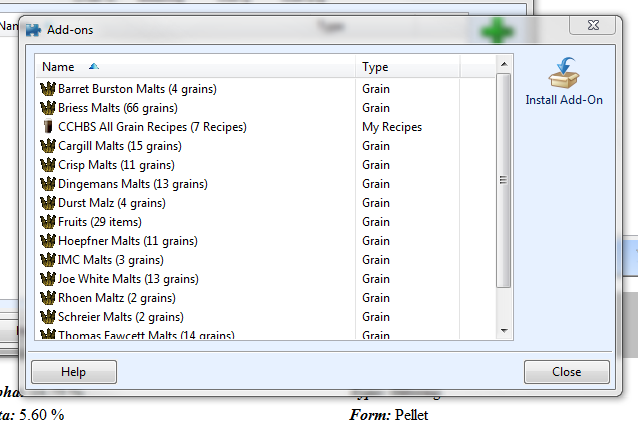 BeerSmith 2 has been updated with tabbed browsing to make it easy to work with as many recipes and tools as you like. Tabbed browsing lets you open many recipes and tools at the same time and work with them in separate tabs. Users with large screens or multiple monitors can also open items in separate windows. 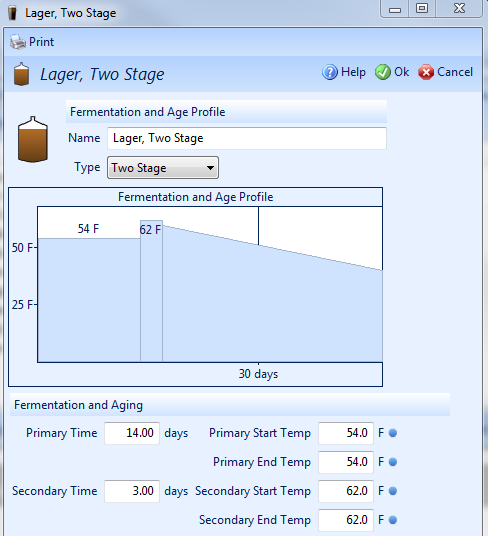 BeerSmith 2 is available for the first time on the Macintosh platform (all intel-based Macs with OSX/10.5/Leopard or higher) as well as Windows 7, Vista and XP. The Macintosh and PC versions are nearly identical, and share common file formats including BeerSmith 1.x support. 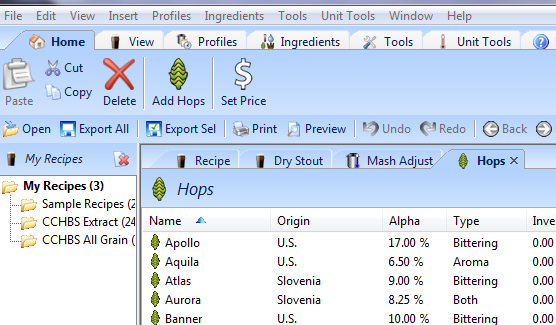 Building a recipe in BeerSmith is as easy as picking ingredients off a list. 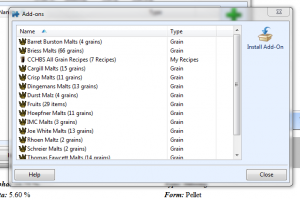 Hundreds of preloaded ingredients are available including grains, hops, yeasts, misc ingredients and waters. As you add ingredients, the color, gravity and bitterness are updated automatically. Choose from nearly 100 beer styles in our extensive BJCP style guide. BeerSmith graphically shows color, bitterness, gravity and alcohol comparisons against the style as you build your recipe. 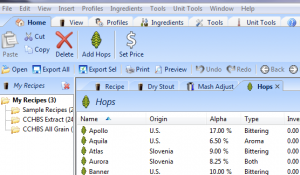 BeerSmith’s new design tab lets you design great extract recipes. However, we also have advanced support for all grain brewing, mashing, batch sparging, brew-in-a-bag and more. 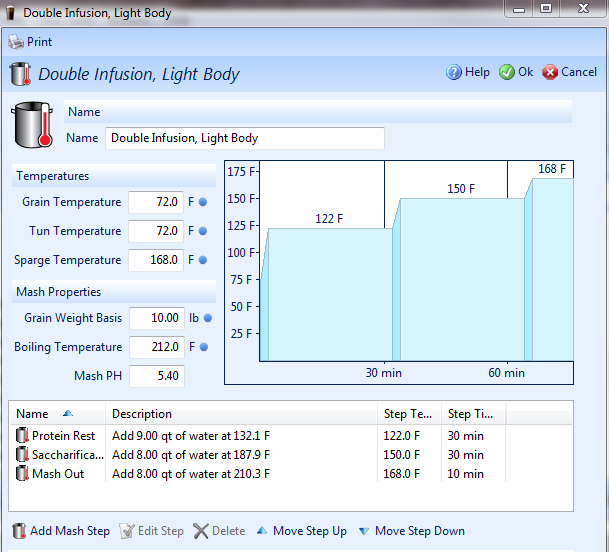 Additional tabs can display over 100 details about your recipe and brewing session. 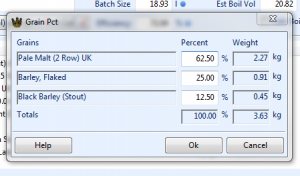 BeerSmith’s 2 supports english, metric and imperial units and has improved support for foreign currencies and number formats. BeerSmith 2 has improved support for foreign languages and several volunteer teams working on foreign language versions of BeerSmith. 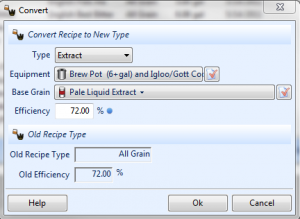 Click on the “Brew Steps” for any recipe, and BeerSmith will generate step-by-step instructions showing you how to brew that beer. Organize your recipes and folders by dragging and dropping them. Keep a log of recipes you have brewed. 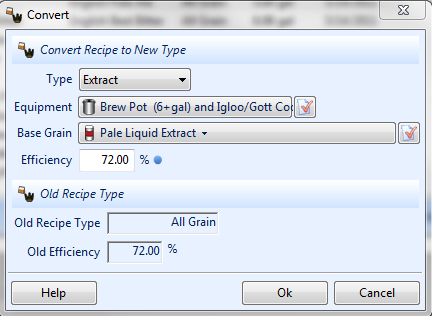 Share recipes in a variety of formats including BeerSmith™ 2 and BeerSmith 1 formats. Download recipes from around the web. Just like our preloaded Mash profiles have taken the guesswork from mashing, BeerSmith 2 has extensive fermentation and carbonation profiles making it a cinch to select the right fermentation and carbonation for your beer by just picking from a list. 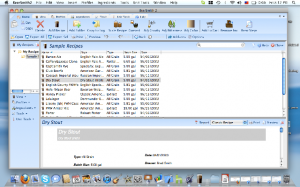 BeerSmith’s 2 has built in shopping list and inventory support. Add an entire recipe’s ingredients to your shopping list with a single button. Move items you purchased directly into inventory. When you brew you can remove the recipe ingredients from inventory. Schedule your sessions and mark upcoming events with our built-in calendar. Know when to start your beer and transfer it elsewhere. 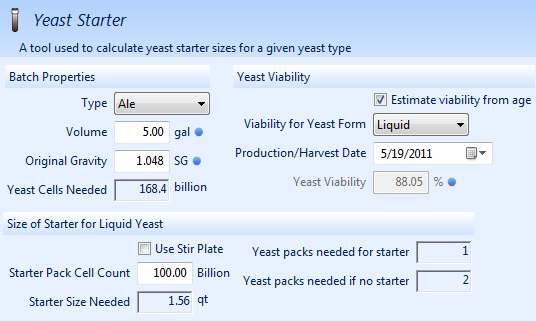 Equipment plays a key role in brewing, and BeerSmith lets you customize your equipment profile from a set of preloaded samples. 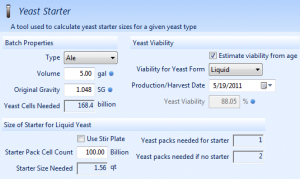 BeerSmith has over a dozen standalone tools including the new yeast starter size calculator and a water profile tool that calculates your optimal water additions. We also have instant unit conversion built into the program throughout. BeerSmith’s 2 has a new Add-on feature that lets you access our online recipe and ingredient database to download new ingredient packs for specific vendors as well as recipe packs containing dozens of recipes. BeerSmith’s 2 will continue to support you as your skills advance. 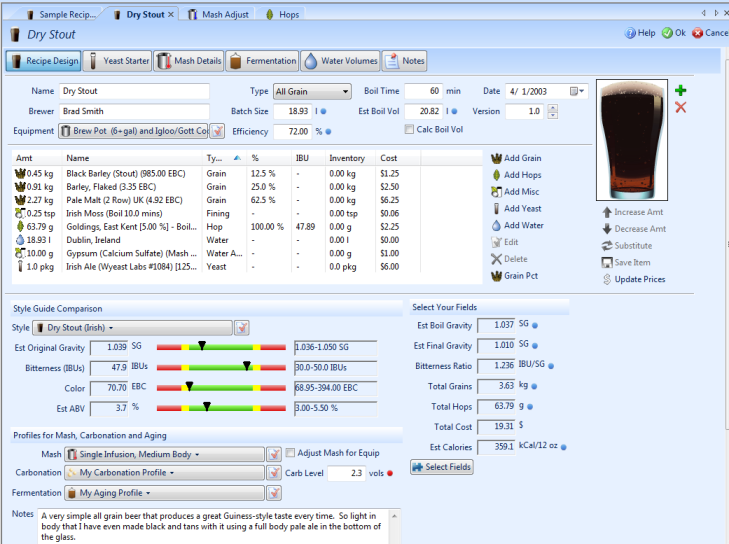 Download recipes, add custom reports, discuss brewing and be a part of one of the largest online homebrewing communities. BeerSmith 2 includes more detail than ever on your recipes, sessions, and the ability to select from over 100 fields to show when designing beers. Many microbreweries and professional brewers have switched to BeerSmith. Start Your Free Trial Today – You Will Love It! Download your free 21 day trial of BeerSmith now!